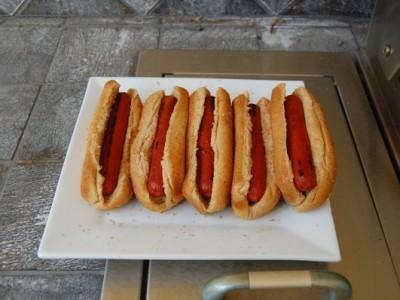 ITR is back this week with their weekly show and it is a show dedicated to the Hot Dog. Golfer Gal is stepping up and taking a food challenge. Can she eat 5 hot Dogs and buns in 30 minutes on the air of the show? Great show! Sounds like Ellie scored some leftovers…so it was a wein-wein for all! Too funny!